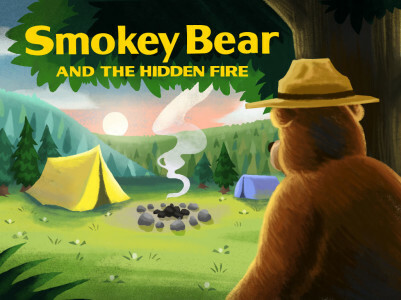 $0.99 Available on Google Play! 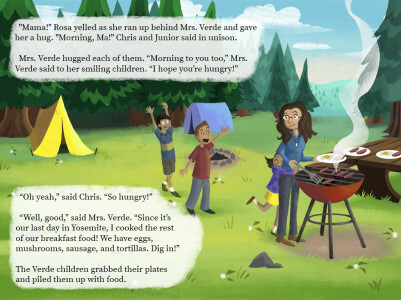 A family is on a camping trip in Yosemite National Park and about to go on a hike but luckily Smokey Bear arrives just in time to point out that their campfire was still too hot to the touch. 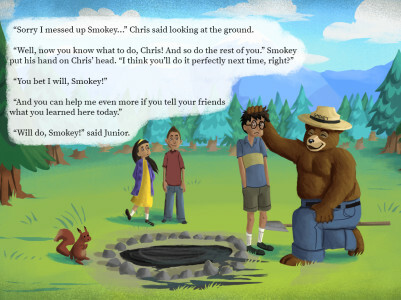 Before a fire truck has to come, Smokey helps the kids and the family learn a valuable lesson about properly putting out a campfire and keeping nature and wildlife safe from human caused wildfires.